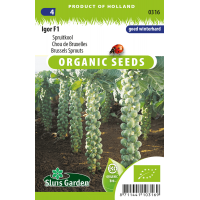 Igor F1 is a hybrid market gardening variety of high quality. It is mid to late and suitable for harvesting November to mid January. 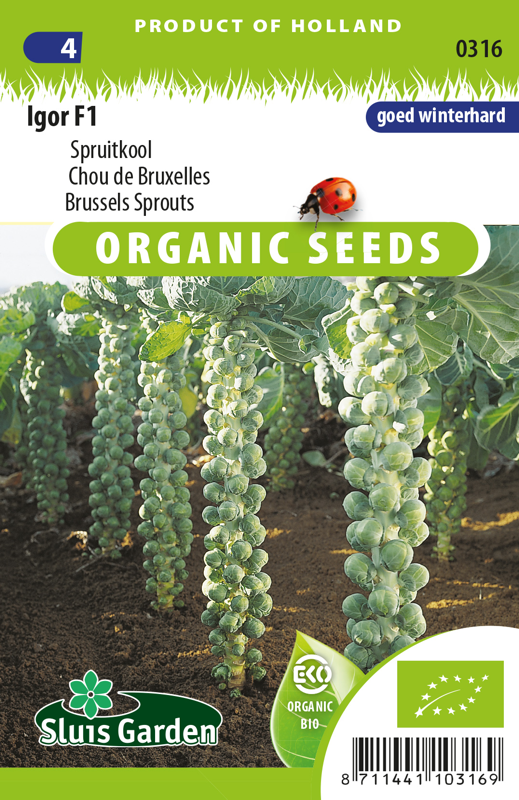 Yields many dark green, smooth sprouts, and produces harvests of the same quality from bottom to top. A vigorously growing and healthy crop, with very good resistance to frost. Suitable for all types of soil. Best not to fertilize too much. Fertilizers too rich in nitrogen result in less compact sprouts. Sow in a greenhouse or in the garden in seedbeds, then transplant later. Keep soil moist.